Minister of Public Affairs Dawn Hastings-Williams yesterday made the first contribution to the Salvation Army’s annual Christmas Kettle appeal, which was launched at the Georgetown Club. 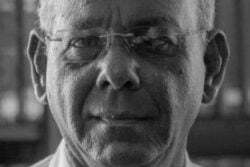 According to a Department of Public Information (DPI) report, Minister Hastings-Williams, who represented President David Granger at the event, expressed the hope that her action would be replicated by the rest of the nation. 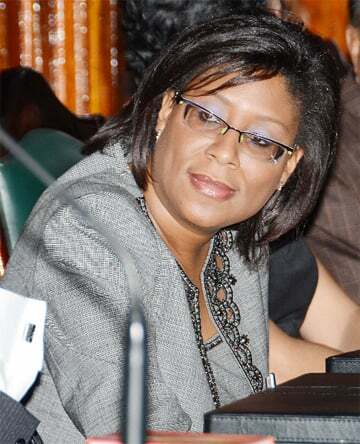 “I truly believe that the true spirit of Christmas consists [of] giving, especially giving to those in need… Bearing this in mind I call upon all the citizens of Guyana, especially the corporate sector and the diaspora to please contribute generously to the worthy charity works of the Salvation Army, planned for the Christmas season and 2019,” she was quoted as saying. The report explained that the Salvation Army provides assistance to persons who are enduring emotional, financial and other challenges. “The charity provides food and clothing for the poor, vulnerable children, the elderly, provides daily meals for underprivileged persons, assists persons in nursing homes and hospitals and purchases gifts for children during the Christmas season,” it said. For this year, it added, the charity plans to donate over 1,200 food hampers to those in need, host several parties across the country for underprivileged persons and to start caroling and gift giving from the second week of November. Funds raised from the Christmas kettle appeal are used for these projects. 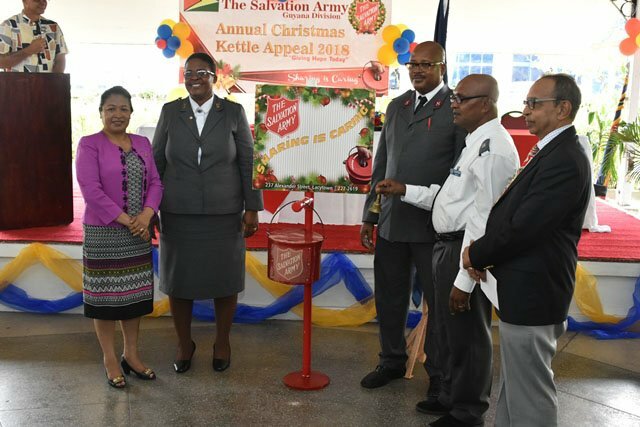 Meanwhile, Divisional Commander of the Salvation Army Major Matignol Saint-Lot told the launch that the charity has two main components: the letter appeal and the kettle appeal to secure funds for its projects. “The letter appeal happens every now and then to raise funds to keep the Salvation Army going and the Kettle appeal once a year at Christmas time,” she said. Chairman of the Salvation Army Advisory Board Edward Boyer, students from the Bishops’ High School, St. Roses High School and Marian Academy also attended the event.